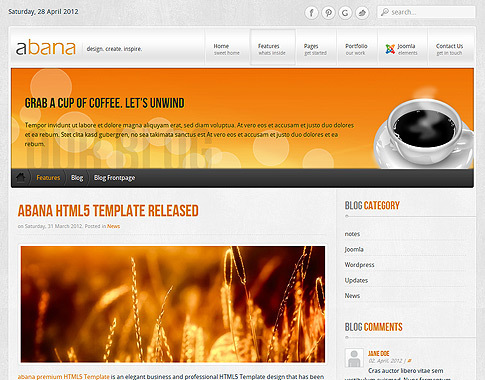 Albana is a clean and trusted template for Joomla having all the business and professional tasks one corporate site has to fulfill; the layout of the theme has been designed on wrap framework, which makes use of the most modern techniques in HTML5 and CSS3. 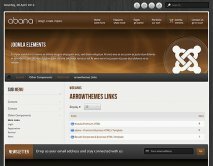 Above all, the joomla theme possesses eight colour styles for everyone to enjoy and incorporate in their working-mode site. 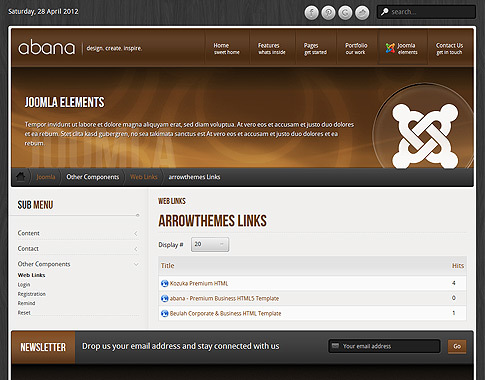 As well as that there are twelve background textures and more than sixty admin options available from the admin panel on the template and more than fifty module positions, which is pretty much enough for you to create the premium site that your firm or corporation needs. 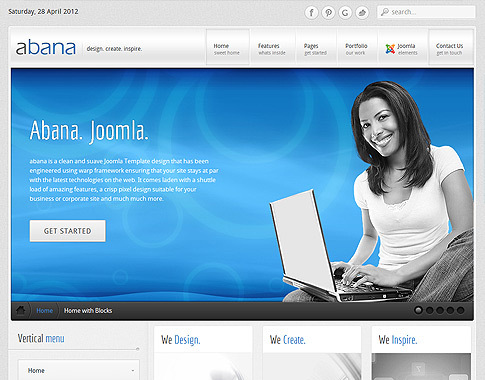 Furthermore the template is especially dedicated to mobile device but could be used on other modern gadgets like personal computers and laptops; besides it is compatible with all major browsers ranging from Internet Explorer, Firefox and Opera to Chrome and Safari. 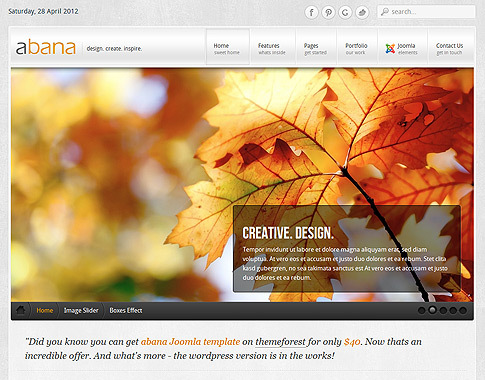 Additionally, the theme offers an image and content slider for better viewing options; and as the theme has multiple page layout combinations, you can gather together in one web site several different appearances like a blog section, other pages and portfolios; the template empowers you to incorporate in your site, if that is what you need, a personal blog with blog front page, a blog category, a full-width blog or a single blog item. 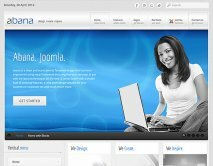 Then depending on what your business is like precisely, you can use the services page, testimonials one, portfolio, FAQ and 404 error pages, Landing page and Contact us zone. Last but not least, the theme incorporates a lot of shortcodes with easy plugin using rokCandy. As a whole, though a fully professional theme, Abana is for all of you beginners or advanced users who wish to create the web site that would suite accordingly your business or personal doings.